Hemp is a plant based food and is an excellent source of high quality nutrition. It truly is the original super food! For those who do not have the time to eat healthily & regularly, Ultimate Hemp is fantastic because it contains 47% protein, 20 amino acids, 10 essential acids and is naturally rich in omega 3 & 6. So it literally has all the essential nutrients the body requires. What does Hemp Protein do? Consuming Ultimate Hemp Protein you can expect increased energy, fat loss, weight loss and increased muscle mass & definition whilst training. It is easily digestible so you will not experience the usual side effects that may occur with many other protein products, such as bloating, stomach upsets and diarrhoea. Hemp protein is free from animal products, gluten, dairy, lactose, soya, whey, GMO, hexane, pesticides, additives, herbicides and preservatives. Lez Wright’s Ultimate Hemp Protein is brilliant for vegetarians, vegans & the health conscious. Lez Wright’s Ultimate Hemp simply nourishes your body & cells naturally, providing you with the means to enjoy a healthy lifestyle. All hemp proteins come from the cannabis family however Lez Wright’s Ultimate Hemp protein contain no psychoactive THC so it’s impossible to experience a high from eating or drinking it. However not all hemp protein is the same. 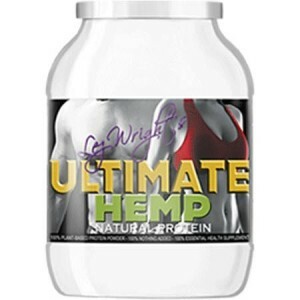 Lez Wright’s Ultimate Hemp is an active high grade protein. It is a nutrition supplement that is definitely worth a try! We recommend adding 1-2 tablespoons of Ultimate Hemp to freshly prepared juices, such as fruit, ginger root or vegetables. Ultimate Hemp can also be used as a herb for cooking or added to a variety of foods for that rich nutty taste. Ultimate Hemp has a slightly nutty taste and odour. Zeolite is a totally natural mineral that has a cage like structure and a negative charge. This negative charge acts like a magnet to attract toxins and heavy metals into its cage like structure and then carries them out of the body in faecal matter. Zeolite also balances the body’s ph level and strengthens the immune system. Zeolites are naturally formed by volcanoes. When a volcano erupts, the molten lava combines with thick ash, this then mixes with sea salt resulting in the production of zeolites. What can Ultimate Zeolite do for you? The body is designed to be able to heal itself, however this ability becomes impaired by the absorbtion of everyday pollutants. Lez Wright’s Ultimate Zeolite powder can absorb toxins, heavy metals and unwanted chemicals. Zeolite is great for the digestive system. After removing heavy metals and other unwanted toxins, the digestive system can absorb nutrients more effectively. It can also put an end to diarrhoea, acid reflux, trapped wind and constipation. Everyone over the course of time absorbs high levels of heavy metals and toxins. Once these pollutants build up, they begin breaking down the body’s cell structure and cause free radicals to be produced, eventually leading to a poor immune system and subsequent bad health. When heavy metals are removed from the body, normal functioning can take place again. Any ailment that you may be suffering from including headaches, dizziness, high blood pressure, weight gain, severe weight loss, cancer, allergies, digestive problems etc could be caused by the build up of pollutants and heavy metals inyour body. Lez Wright’s Ultimate Zeolite can be integrated as a detoxification component in most if not all comprehensive treatment programs. We recommend adding 1 tablespoon of Ultimate Zeolite to water, freshly prepared fruit juices, ginger root or juiced vegetables twice a day. Zeolite is virtually tasteless and odourless.